Many dispensaries and retail stores open in a rush, with the owners focused squarely on supply chain, regulatory and licensing issues. As a result, they overlook a critical element of success: retail design. I’ve seen some ineffective – and even truly awful – layouts in the cannabis industry. Very few dispensaries and rec shops embrace the core concepts of great retail design, and those that don’t are leaving money (and loyal, long-term customers) on the table. We’ve all experienced great design, from sleek, modern spaces like Apple stores to traditional, richly detailed high-end shops like Tiffany’s. But what are the components of these designs that make them so effective? And how can we borrow elements of these while still honoring the unique needs of the cannabis buyer? In retail as in so many other things, first impressions count. It follows then that how your establishment looks from the street is critically important. Designs can vary and colors and shapes can be wild or tame. But from the very first glimpse, your customer should see an inviting space that conveys professionalism and safety. Next, that feeling of warmth and welcome should extend to your intake space. For at least the next few years, every retail operation in the country will need to create a reception/intake/waiting area where store employees can check IDs and/or patient paperwork. Because this is where customers first interact with your company, you’ll want to make sure the design of this area is as engaging and non-threatening as possible. If you’ve ever been to a duty-free store or an Ikea outlet, you’ll have noticed that the store design subtly (and sometimes not-so-subtly) moves you through the space in a one-way flow. By creating a flow for customers to follow from the entrance to the cash register and then the exit, these stores enable customers to see the full range of products on display, while discouraging them from lingering too long in any one location. And studies have shown that planned flow actually makes customers feel more comfortable. Grocery stores do this using aisles, while banks and airlines do it with teller or agent desks and rope lines. Once you start to think in terms of flow you’ll see it in good designs across a range of retail environments. Because you want to create the flow described above, look for relatively shallow spaces or, at a minimum, fairly square spaces. This is because deep and/or narrow spaces create blind spots that make it harder for your customers to see your products while also making it more difficult to position security cameras to cover the whole space. With square or other relatively shallow shapes, professional retail designers are often able to implement standard flow patterns such as grid, free-form, “racetrack” and “pathway” designs. If you plan to serve a very large number of customers a low-cost product at high volume, you’ll want to create a design that moves people quickly to the cash register (think convenience store). But if you are targeting a higher-end customer or want to provide a more consultative service, think about how to create areas where store representatives can spend some quality time with customers. At Apple, they do this both by having a Genius Bar in the back of the store as well as having customer service agents meet customers out on the floor to help them choose products. Jewelry stores do it by having centralized counters where it’s easy to see (and flag) customer service representatives. Bottom line: Your design should reflect your business plan, to make sure you have the appropriate environment for executing your business model. Nearly every dispensary and recreational marijuana shop in the country will have its fair share of “newbies” for the foreseeable future. For these patients and/or consumers, a poorly designed environment can be intimidating or even off-putting. Retail stores that are reminiscent of head shops or dive bars may thrive initially, but over time most new consumers will choose the stores that make them feel safe and comfortable. For this reason, we often recommend creating space for a concierge station so that newbies can have a dedicated consultant to walk them through all the options and to educate them on more “obscure” products such as edibles or topicals. As with any space plan, the key to great retail design is thinking through form and function, rather than trying to win any design awards. You can certainly pick out great colors and fixtures and make your retail space beautiful, but our recommendation is: Do that after you’ve made it safe, comfortable, convenient, and welcoming. By keeping your retail design simple and focused on the business fundamentals, everyone wins: you, your customer and the whole industry. 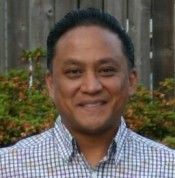 Noel Remigio is co-founder of Noel Remigio Design, an architectural firm specializing in designing facilities for the marijuana industry. Another important tip is packaging in professional grade child resistant packaging like Cooljarz. Thanks for the tips and pointers. Good article with relevant info.